If you play the guitar, there are two things that you should develop in order to keep yourself motivated and progressing with your playing. In this article, I’ll explain these two things, and what happens if they are missing. If you don’t have a desire to improve your playing, then it is highly likely that you will stop playing before too long. Why is this? It is because EVEN IF YOU ENJOY playing your guitar (which is the other really important thing that you should have), you will eventually get bored playing the exact same things over and over. If you have no desire to improve, then you will not do the things you need to do to make your playing get better (like find a great teacher, practice your instrument, improve and refine your practice routines). This can be remedied with the help of a great guitar teacher. It is likely you are trying to play music that is too difficult for your current level. Your expectations may be unrealistic. But the great thing about music is that even playing something simple can be VERY enjoyable, once you master some easy basic elements. There is a 12-bar blues that I teach my beginner students to play after they have only been playing for 2-3 weeks, that they LOVE playing because it sounds so good! It’s a really easy melody, and if you play it over a blues backing track it really sounds great. And yet it’s easy enough for a total beginner to play. Now let’s say one of my students plays this blues 2 weeks after they began playing guitar and thinks “Wow, this is super fun! Now I can play the guitar!”. They stop practicing and progressing, and don’t learn anything new. How many times can they play this blues before they get bored of it? I would estimate that within another week or two (depending on the person’s mindset) they will get bored of playing this piece. If they don’t have something else to play or work on, they will stop altogether. On the other hand, if they have desire to improve, and keep practicing to learn another piece, or a scale so they can improvise over the blues, they won’t get bored because there is something new to do. The key to staying motivated with your guitar playing is balancing these two elements: the desire to improve (leading to practicing) and the actual enjoyment of playing. All great guitar players keep themselves excited about learning more and more for years and years! I’ve been playing 26 years now and I still look forward to practicing and learning how to play something I’ve never been able to play before. It will never stop. And of course, after a practice session it is so enjoyable to play the things I already know well, it always puts me in a good mood! 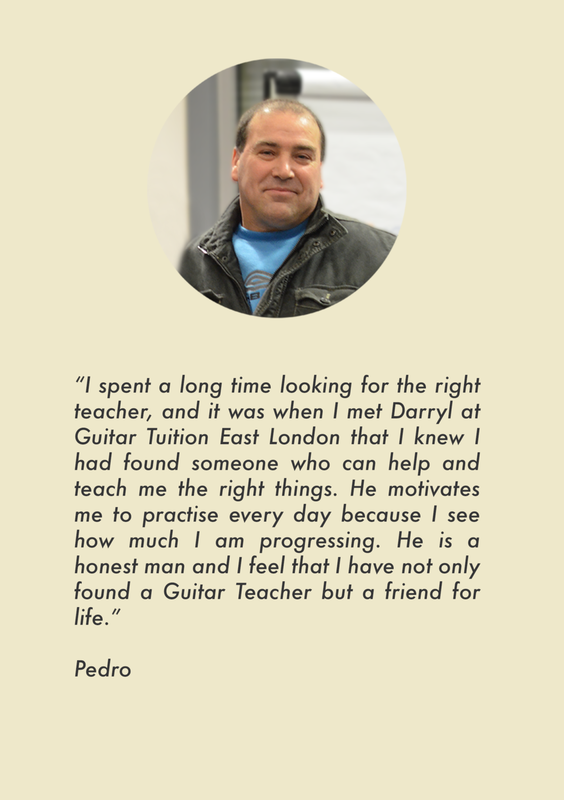 If you are looking for a great guitar teacher in Dublin, Ireland, who will help you balance these two elements and get you progressing, check out our website today.